About Us – SCHMIDT AVIATION INC. Obtained A&P license in 1960. Obtained IA certification in 1963. Never had a suspension or violation of licenses. 1960 to 1963: Skyharbor Airport, Northbrook, IL. Worked as A&P mechanic for Cessna dealer/distributor. 1963 to 1968: DuPage Aviation, West Chicago, IL. Worked as A&P mechanic and IA for Cessna dealer. 1968 to 1970: Love’s Flying Service, Valparaiso, IN. Worked as A&P mechanic and IA for Cessna dealer. 1970 to 1973: WASCO, East Alton, IL. Worked as operations manager for Cessna parts distributor. 1973 to 1978: Walston Aviation, East Alton, IL. 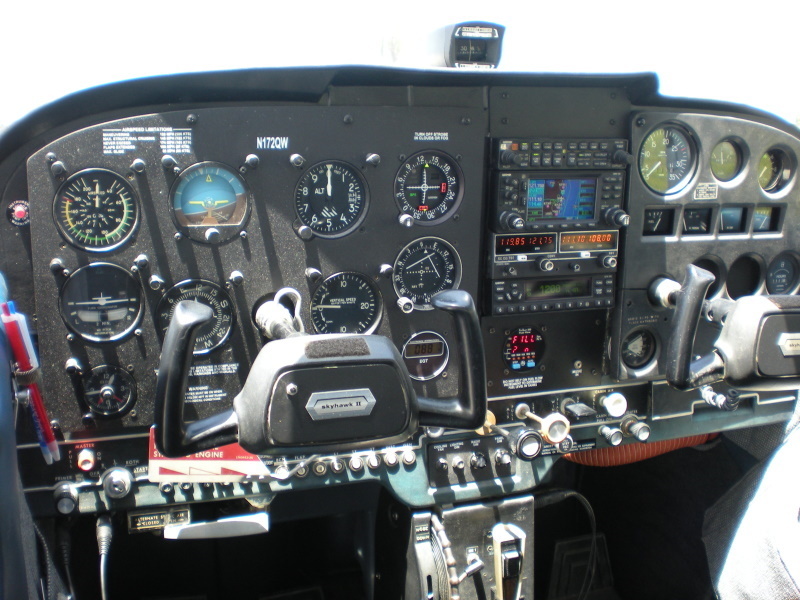 Worked and Director of Maintenance for Cessna dealer FAA Repair Station. 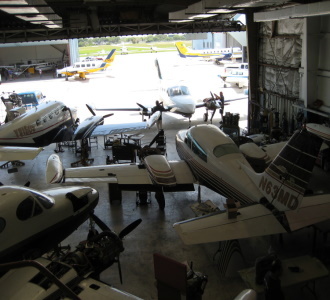 1980 to 1983: Aviation Maintenance Inc, Fort Lauderdale, FL. Part owner and chief inspector of FAA Repair Station. 1983 to 1988: Southaire Inc., Fort Lauderdale, FL. Part owner and chief inspector of FAA Repair Station. 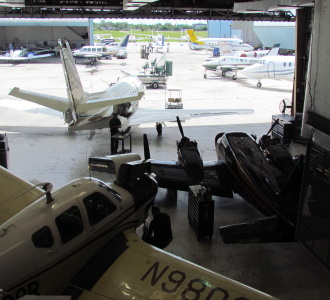 1989 to Present: Schmidt Aviation Inc., Fort Lauderdale, FL. Part owner, A&P and IA of repair facility. Obtained A&P license in 1991. Obtained IA certification in 1994. 1977 to 1978: Walston Aviation, East Alton, IL. Worked in aircraft parts department. 1978 to 1980: Sunny South Aircraft, Fort Lauderdale, FL. Worked in aircraft parts department. 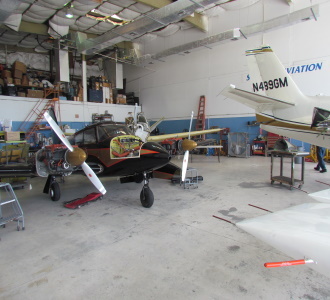 1980 to 1983: Aviation Maintenance Inc., Fort Lauderdale, FL. Worked in aircraft parts department. 1983 to 1984: Airmark Engines, Fort Lauderdale, FL. Worked for FAA Repair Station parts department. 1984 to 1988: Southaire Inc., Fort Lauderdale, FL. Worked for FAA Repair Station Parts department. In addition to Tom and Ron we have five other technicians working full time in our shop. 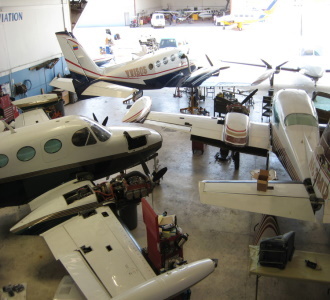 With their help we strive hard to get the planes repaired and out the door in a timely manner. We also strive to do the job right the first time so that you won’t need to come back and have something done over.